Seems that Model 3 buyers could be in for a bargain rather than an expensive electric toy. America may be the land of the temporarily embarrassed millionaires who hate the thought of having others see them as good for nothing freeloaders, but let’s be honest for a second, $35,000 is quite a bit of money for anyone. It’s the barrier to sitting behind the wheel of an entry-level luxury car for most, but to part with that sort of cash, buyers want assurance that the car will retain value. Thanks to a prediction by Autolist, Elon Musk may have a good reason to finally get some sleep. According to the site, buyers who splurge $35,000 (or $44,000 for the Model 3 with more range) on Tesla's new EV can rest easy knowing that it 3 could have the lowest depreciation for a vehicle in its class whenever it goes on sale. In all fairness given the current electric car climate, especially the one surrounding the Model 3, that's a prediction that’s not too hard to fathom. With demand for Model 3 surpassing supply to the point that the EV's waiting list is more than a year long, the want for an entry-level Tesla is unlikely to slacken anytime in the near future. That, coupled with the fact that the little EV could convince the masses to buy into the electric movement, will drive up prices. Some buyers who have held out for used Model 3s to become available in order to save a buck may be disappointed to learn that, but it’s just the reality of a new and highly sought-after technology hitting the market. 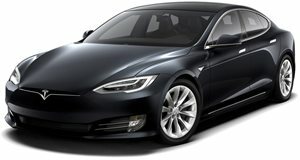 Autolist’s statistical analysis was conducted by taking into account many factors, the current lack of charging stations and the fact that more Superchargers are under construction, the growth curve of battery technology, which will bring range up and charging times down, and the realization on the part of the owner that initial investment can be recuperated by spending less on fuel and maintenance. Interestingly enough, Autolist compared the Model 3 to other luxury contenders rather than electric cars for this study. In the analysis, the Model 3 was placed adjacent to the BMW 3 Series, Mercedes C-Class, and Audi A4, a testament to the fact that the Model 3 currently doesn’t have many direct competitors and a nod to the the market segment the Tesla is looking to replace. Look out, Germany.